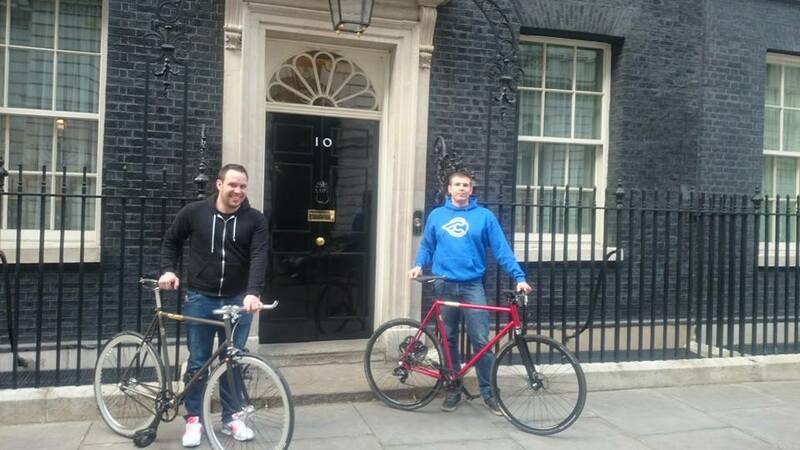 Cloud 9 visits Number 10! We had an amazing opportunity last week to visit Number 10 Downing Street for a meeting with none other than the Prime Minister, David Cameron, himself. 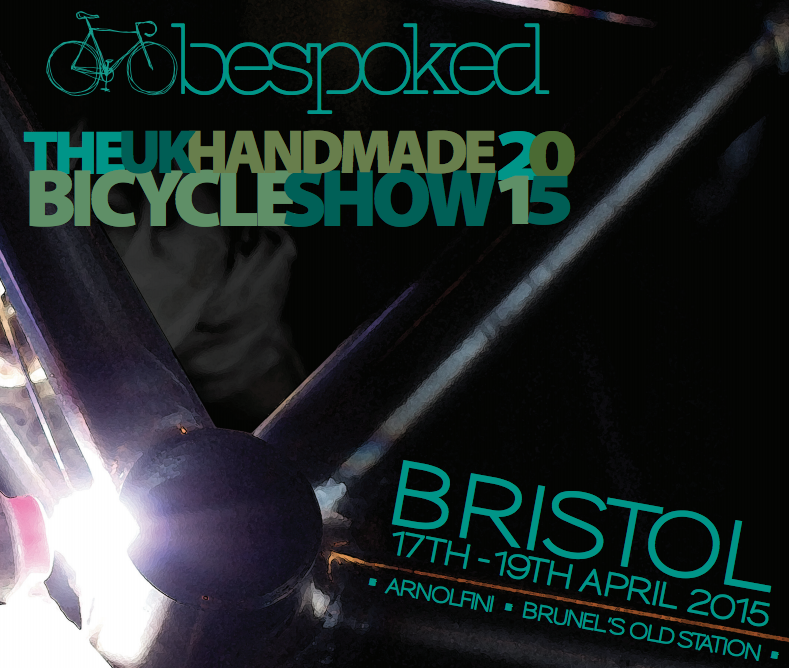 It seems he was interested in having a look at some of our hand-built frames and we were only too happy to oblige. 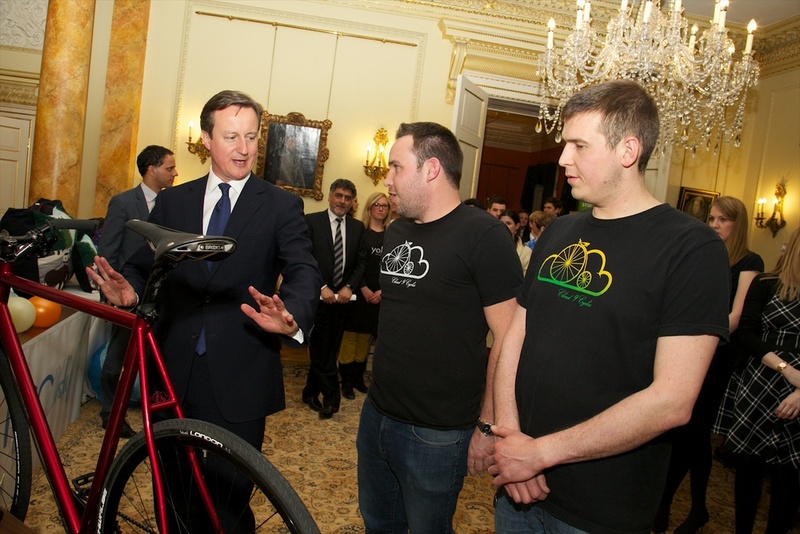 The reason for our invite, apart from DC’s genuine interest and enthusiasm for our frames, was our involvement with a government programme called School for Startups. A few years back we applied for a loan from SFS so we could purchase the equpiment we needed to start building frames by hand. It’s hard to overstate the importance of that loan, without it we simply couldn’t do what we do! Believe it or not, the event wasn’t just about us. There were loads of other businesses there that have benefited from the programme, plus a host of MPs and leading business people. See if you can spot former Dragon, James Caan, in the background of the photo above! 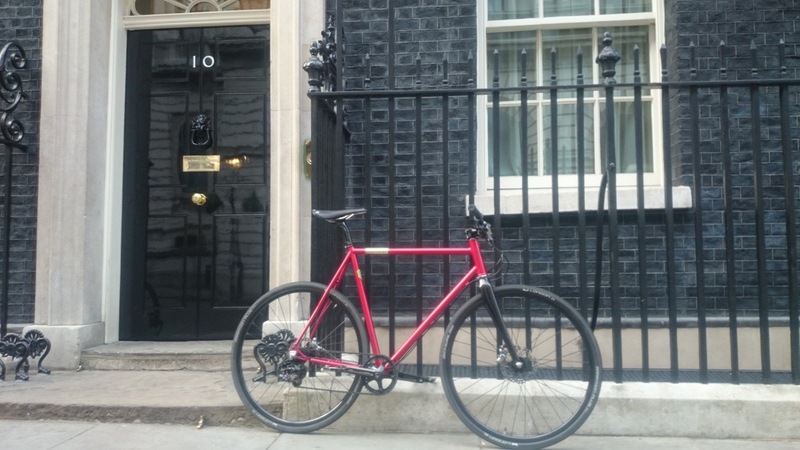 Not only was it exciting to be invited to the PM’s place, it was great to see a genuine passion for cycling from the country’s most powerful politician and reassuring to see that he intends to support cycling more in the future – if he wins the general election of course! We left David with a gift bag of bike-related products, including three Mini Hornits for his kids, you may remember the Hornit as the product we helped our friend Tom pitch on Dragons’ Den. Here are the rest of the snaps from the day.